These two judges have one limited ground to invalidate this form of talaq, which is the test of ‘manifest arbitrariness’ as ‘the marital tie can be broken capriciously and whimsically by Muslim man without any attempt at reconciliation so as to save it’. This arbitrary action would be a ground to invalidate legislation as well as subordinate legislation under Article 14 relying upon the earlier five-judge judgment. They do not clearly overrule nor uphold Shamim Ara (2002) judgment, which had introduced the concept of reasonable cause and reconciliation from the Quran. The third judge (Justice Kurian Joseph) finds two grounds to invalidate this form of talaq because it “is against the basic tenets of the Holy Quran and consequently, it violates Shariat” and hence, not an integral part of the religious practice of Islam itself. Second, the violation of the principle laid down in Shamim Ara case. Hence, it shall be a majority verdict without the support of reasons of majority judges. It is similar situation where, in Babri Masjid-Ram Janm Bhoomi title dispute case, majority of two judges reached on the same conclusion to divide the land into three parts, but for different reasons. The third judge wrote completely different judgment with different conclusion. But the way it has been put to general public, largely in the electronic media, that triple talaq in this form has been held to be ‘unconstitutional’, as it is against the concept of ‘gender justice’, is incorrect. It can only be read into the judgment of two judges, which shall be minority view. The interesting part is that Justice Joseph holds that the Central Law of 1937 referring to talaq is ‘not legislation regulating Talaq’ and he has agreed on this with two other Judges (Chief Justice Khehar and Justice SA Abdul Nazeer). Consequently, the majority view is that this form of Talaq-e-Biddat remains part of personal law. If there is no legislation, Part III of the Constitution i.e., Fundamental Rights, shall not be invoked to invalidate personal law. This can be read as majority view of three judges. Minority of two judges held that the 1937 Act would also be read to recognise and enforce triple talaq and shall be understood as “law in force” and proceeded to invoke the arbitrariness principle emanating from Article 14. To fit in the concept of arbitrariness as a ground, a judgment was cited, which was argued by (Justice Nariman while being senior counsel) for setting aside of an amending Act relating to manufacture and production of liquor in Andhra Pradesh (as reflected at page 356 of the judgement), but the same was rejected by the then three judges. 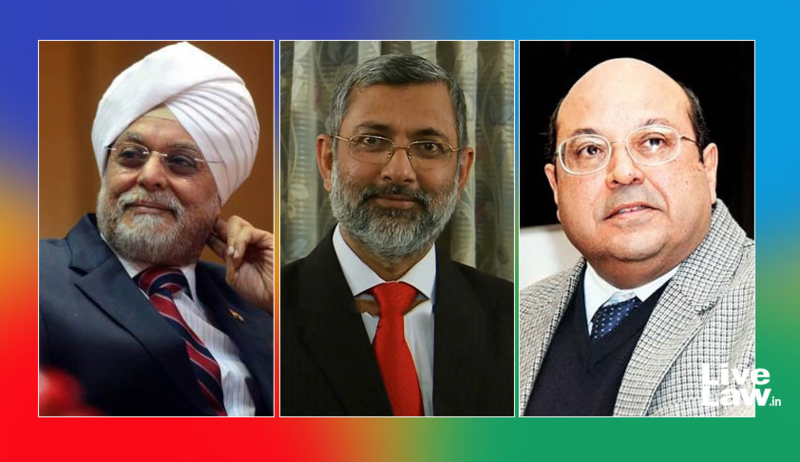 In terms of the present judgment, Justice Nariman (with Justice Lalit) held that this judgment of three judges was ‘no longer good law’ in view of the earlier five-judge judgment in Ajay Hasia case of 1981 where it was held that arbitrary and unreasonable action of “an authority” under Article 12 would be violative under Article 14. The Ajay Hasia case was regarding the procedure of admission in educational institution. This majority judgment does not discuss the issue in case - if a lady is given triple talaq, though wrongly, and she accepts it, will it become a non-arbitrary action and non-violative of fundamental rights emanating from the principles laid down under Article 14 merely because the lady has accepted this form of talaq. This issue was argued at length. If the court had to consider the issue of something being sinful but lawful in theology by saying that the sinful act cannot be good in law, then the very concept of talaq is undesirable practice as per the Islamic theology and hence, that will not justify Talaq-e-Ahsan and Talaq-e-Hasan, thus divorce in Islam itself would be have to be struck down. If that is the case, then it would mean that the very concept of marriage in Islam, which is a contract, will change to that of sacrament. Thus nullifying the very basis for the outcome of Islam as a reformative religion and putting such religiously historic reform on an equal pedestal with sacramental marriages, which the entire world is moving away from, including our country. For example, in the US, the concept of no-fault divorce is being introduced. Sadly, no one tried to look into this entire issue with socio-economic perspective. We also know that despite long-drawn court procedure for obtaining divorce, the ratio of divorce has not gone down for follower of other religious belief. More so, when the religious text permitted for the delegation of the right to divorce to the wife and the same could have been put as condition by the wife-to-be at the time of nikah. M R Shamshad is an Advocate on Record, Supreme Court, and he also assisted Mr. Kapil Sibal, who appeared and argued the matter.